Save Now or Save Later? Most people have good intentions about saving for retirement. But few know when they should start and how much they should save. Sometimes it might seem that the today's expenses make it too difficult to start saving for tomorrow. It’s easy to think that you will begin to save for retirement when you reach a more comfortable income level, but the longer you put it off, the harder it will be to accumulate the amount you need. The rewards of saving early for retirement far outweigh the cost of waiting. By contributing even small amounts each month, you may be able to amass a great deal over the long term. One helpful method is to allocate a specific dollar amount or percentage of your salary every month and to pay yourself as though saving for retirement were a required expense. This example makes a strong case for an early start so that you can take advantage of the power of compounding. Your contributions have the potential to earn interest, and so does your reinvested interest. This is a good example of letting your money work for you. 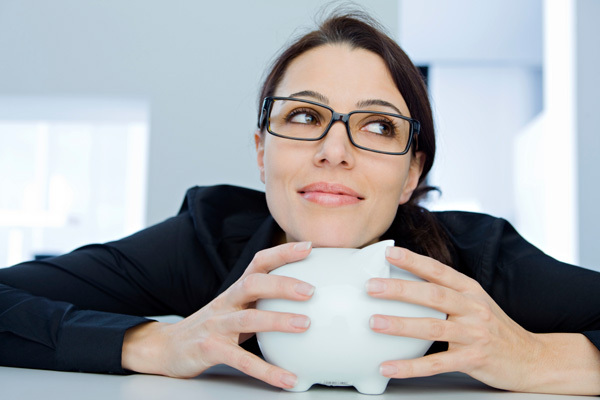 If you have trouble saving money on a regular basis, you might try savings strategies that take money directly from your paycheck on a pre-tax or after-tax basis, such as employer-sponsored retirement plans and other direct-payroll deductions. Regardless of the method you choose, it’s extremely important to start saving now, rather than later. Even small amounts can help you greatly in the future. You could also try to increase your contribution level by 1% or more each year as your salary grows. Distributions from tax-deferred retirement plans, such as 401(k) plans and traditional IRAs, are taxed as ordinary income and may be subject to a 10% federal income tax penalty if withdrawn prior to age 59½. *This hypothetical example of mathematical compounding is used for illustrative purposes only and does not represent the performance of any specific investment. Rates of return will vary over time, particularly for long-term investments. Investments offering the potential for higher rates of return involve a higher degree of investment risk. Taxes, inflation, and fees were not considered. Actual results will vary.